Hi guys! 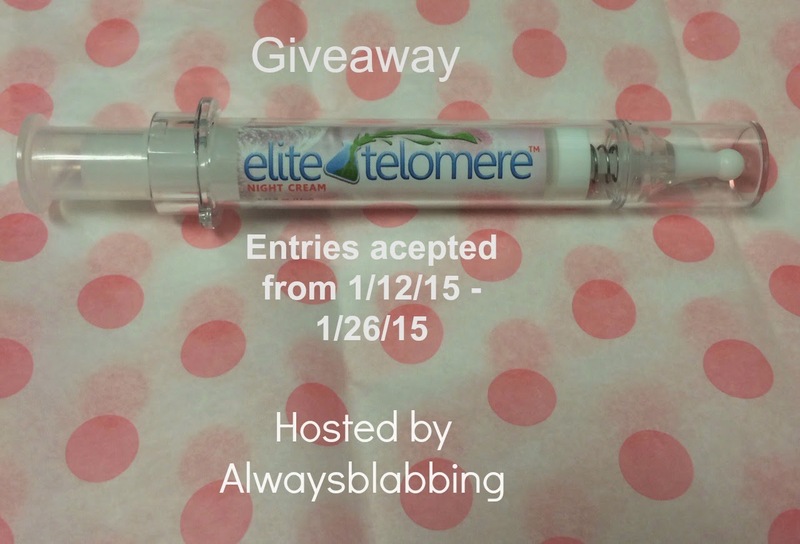 I am helping to promote the Elite Serum giveaway hosted by alwaysblabbing. So make sure you enter and share this giveaway with all of your friends! Good luck remember one winner will be randomly chosen through the RaffleCopter. You MUST be following alwaysblabbing on Twitter or GFC or like alwaysblabbing on FaceBook to be eligible to win. Open US only -- Winner will have 24 hours to contact me with their mailing information. alwaysblabbing is not responsible for shipping prize.